Gerard Reinmuth reflects on the work of his mentor, Michael Viney, with the assistance of Jennifer Taylor, Bob Nation and Barrie Shelton. 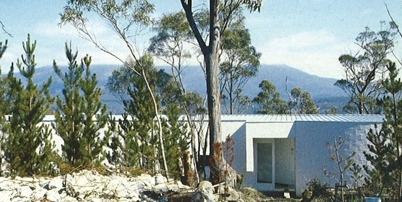 Reinmuth, G, 2001, ''Tasmanian Modern: Then and Now', Architecture Review Australia, No. 74.